I’m the type of kid who doesn’t belong here; I stick out like a sore thumb. They tried to fix me, didn’t work; now they are biting nails around me waiting to see how much I can stamp on these pages before I snap off for good. How much is enough to call enough is enough? I couldn’t control my past but observe how I sculpt my future. Fire-red is the new Blackness, these pages will go up in smoke. These pages are my playground. 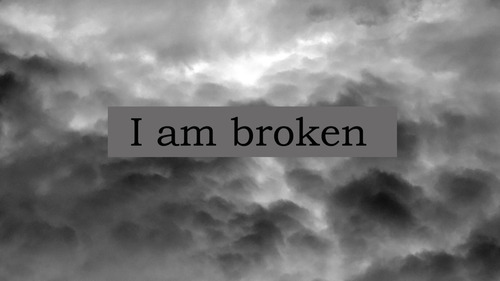 This world didn’t break me, I was already broken. And the brick that was thrown through my window, I am holding onto as if it was my dream, because when the time is right, I will make this world swallow what people have done to me. Looks like The Evilness has raised its ugly face again, it’s all only bravado, I just caught a glimpse of myself in the mirror. My sane-self is trapped on the other side, he sees all; tonight I will be your host and he will be my hostage. Welcome to the Alexander Kennedy Show! He’s going cuckoo again! Doctors stop the treatment, it’s the wrong diagnosis; I merely write better when I have my head in the clouds. Well, it does give new meaning to higher functioning! My brain is an intricate web; make sure you don’t get tangled in the words I weave. I’m the type of writer who pretends he’s a spider, for one purpose; to spin the peace symbol around before I chomp down on a fly girl. As a writer you must know I can kill with only finger and a thumb. They say one man’s delusions are another man’s faith. Do not worry; I have faith within my delusions. As every night I die because my mind can regress. I have felt these things in my life. You can get through . Don’t give up. Fight the evil and get help. Writing is my help honey. I know I will get through; one day at a time, one page at a time. It’s 3:30am here and I had too much on my mind to sleep, so I had to write something. Think I’ll go to bed now. Thanks for being there. P.S. My girl has been chronically ill since the age of 22months. She is now 20. I started my blog because as a momma of a sick kid that battles 3 diseases and also just got out of ICU this week, I totally understand more then most about being broken in so many ways! Your daughter sounds like a strong girl, tell her she is not alone in this world. Everytime I write I find a piece of my soul in whatever I write. But thank you for your thoughts! I will be coming across your blog to see what else I like. Writing doesn’t have to be some novel or poem, you can puke out all your thoughts too, get them on paper, delete, re-arrange and maybe find solutions that you wouldn’t hear in your head. 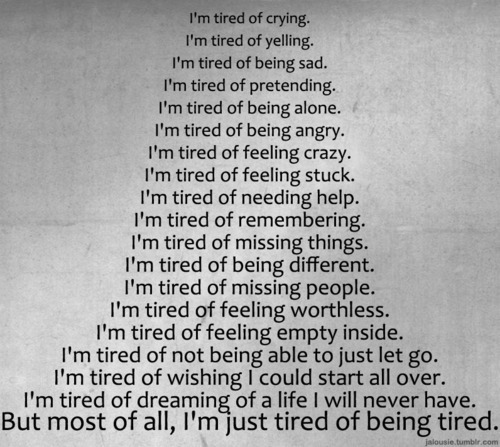 There are times we need to say exactly what’s on our mind. Just remember that you have a gift. Writers see things differently than others. Many people do not understand writers. They think we’re either over dramatic or depressed. Honestly, we have to learn to do what makes us happy and not care what others think of us. (I know that can be hard sometimes). Sorry, not sure if my comment got posted. But as I was saying, being a writer can be difficult, but you need to understand you have a great gift and don’t worry about what others think.